It’s our national duty to protect native endangered species, not sacrifice them to urban sprawl. I am writing to you in regards to the Southern Brown Bandicoots (SBB) in Cranbourne area, as per the ABC news on Sunday night, 28th February. This devastation is happening in YOUR electorate, and it’s shameful that there is no voice from you as Environment Minister? These SBB are already threatened, and there are so many native species in our growing threatened species list! Why wasn’t the fox-proof fence built, that was already funded? Why will the animals have to go, for HOUSING! 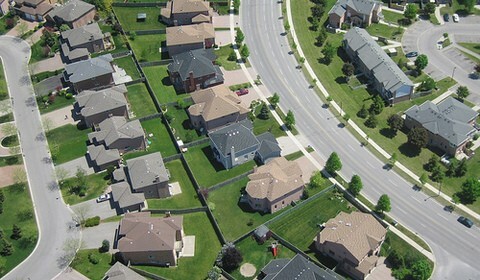 We have enough houses in our city, and why do we need MORE destructive urban sprawl? People are not a threatened species, and an economy relying on building houses is shallow and destructive! The small brown marsupial is listed as nationally endangered. There is no point in saying their numbers are sufficient elsewhere! Australia is a land famous for our rich biodiversity, but it seems our decision-makers, including you, are intent on destroying as much as possible of it – and in this case simply to appease property developers! It was decided that there was no benefit to be gained from the wildlife corridors, but this is NOT about monetary gain. The Victorian Government’s own bandicoot strategy said the corridors were not “cost effective”. It’s incompatible with urban sprawl. We have a legal obligation to protect our natural heritage, and “cost” is irrelevant as there is already funds available. They have intrinsic value, and are part of our natural heritage. Where’s the “cost effective” policy for urban sprawl? These delightful little suburban battlers were once common in our southern suburbs, and now just a few remain in the Pines Flora and Fauna Sanctuary at Cranbourne. A patch of bush in the back blocks of Frankston on Melbourne’s urban edge is just 10 kilometres from the Cranbourne Botanic Gardens. Peninsula Link spent $20 million of taxpayers’ money on an underpass, and handed over $1.6 million to Parks Victoria for the fence. But Parks Victoria never built the fence. Where’s the money for the SBB now? Bandicoots don’t need corridors, but their habitat protected. We have the EPBC and our Wildlife Act, and are set up to PROTECT our native species, so why isn’t this Act being implemented and enforced? It seems that the major contributors to our environmental threats are somehow and conveniently exempt from prosecution, and from limits to their actions. How are property developers exempt from laws protecting wildlife? We are locked in to a Colonial, cancerous type of economy, of new settlers, housing expansion, vegetation clearing, or “taming the bush”, and unbending never-ending “growth” at whatever cost. This type of encroachment onto native species habitats is a Third World problem, not one of a so-called leading, developed economy like that of Australia! The Buck Stops with YOU! You are the Environment Minister, so you can stop this habitat vandalism, and sending one more native species down the extinction trial. Extinction is FOREVER, and would you like to be known by future generations for the demise if the SSB, and only be seen in reserves or stuffed in Museums? Is this to be your legacy to future generations? Killing off the last of the SBB?